The hardest part about being an artist is that we are visually stimulated by color. 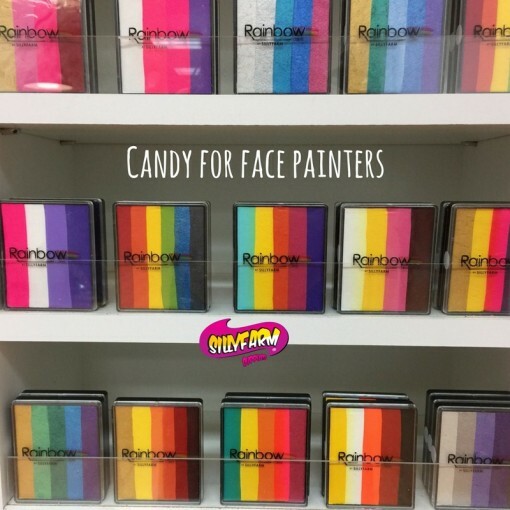 For anyone that has ever visited the Silly Farm show room, you know the sensation of feeling like a kid in a candy store surrounded by so many choices. We also tend to over spend, over buy, and can’t decipher between a real want and NEED. While I truly appreciate all the love and support through your Silly Farm orders, I also feel compelled to help you save money, spend wisely, and make the most of your purchases. 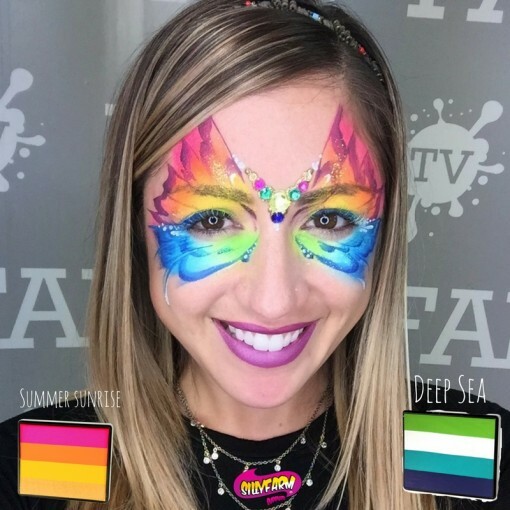 So this blog is dedicated to all my paint hoarders, Rainbow cake-aholics, those that have enough paint brushes to supply a small country, and glitter fairies that are leaving trails of glitter everywhere you go. Take Care of Your Supplies! Simple in theory I know. And no one was more guilty of wastefulness than me. Before my Craft N Go I was hauling a kit cart ( crafter bag with my kit) a table and chair, along with random supplies. After a job i would rush and throw all my supplies in a bag and run to the next gig. I found myself breaking Starblends, spilling glitter, and losing my favorite stencils. Since I switched to a CNG I find that I not only keep my kit cleaner, because it acts as a workstation and table in one, but I am taking better care of my supplies, thus less waste. Johanna Infante’s Craft N Go is feast for the eyes! Taking care of your supplies includes rinsing your sponges and letting them air dry, NOT leaving your brushes sitting in painty water, wiping down your paints after gigs, cleaning your stencils, and replacing old supplies that need a make over. During the summer months the heat index reaches 100 where I live and leaving your paints in the car, is a sure fire way to ruin a bunch of good supplies. Our paints sweat like humans and don’t fair well in extreme heat, So take the extra 5 minutes, take your kit inside and store it in a cool dry place. Use something up before you buy something else. (Unless of course Silly Farm is having an awesome sale) I once taught a class in Canada Ay! And the students were more interested in shopping than my class. LOL I really love to help painters shop, but I always advise buyers to use one thing up before you buy more. It’s easy to want it all, but do you NEED it all? Sometimes the answer is yes, but many times you can wait 2 weeks use up a rainbow cake and then replace i it with another. Combine Your Supplies: Sometimes we can’t help ourselves and fall in love with certain color palettes. I am a pink person. 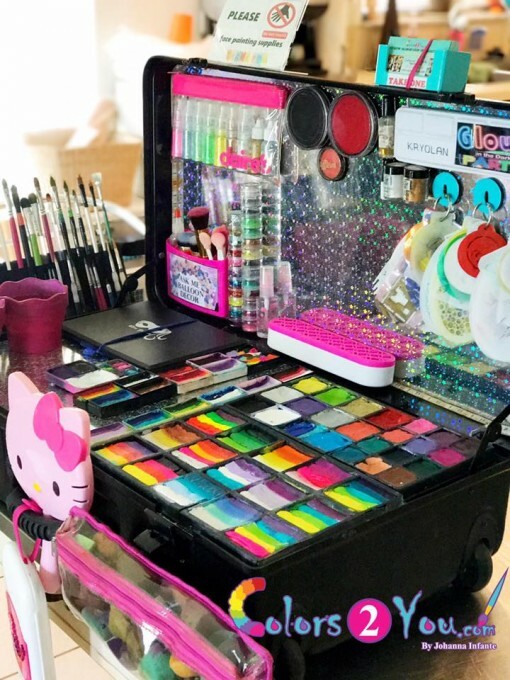 Most of my kit contains shades of pink, pink infused rainbow cakes and pink brushes hehehe Out of habit I reach for any rainbow cake that contains pink and create butterflies, kitties, tigers, etc. A couple of months ago I realized I wasn’t going outside of my comfort zone and I was playing it safe. So I put away half my rainbow cakes and opened up new ones that I meant to start using. Instead of a one tone butterfly I combined 2 cakes and I was pleasantly surprised. Not only was I trying new designs, I was using supplies that probably would have grown cob webs. Force yourself to break your routine and try something new. 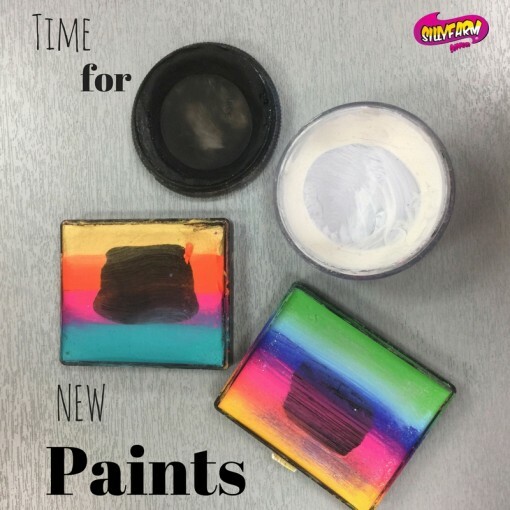 Not only will it help you make good use out of your supplies, it will also inspire you to paint something new which in effect keeps you motivated and excited. 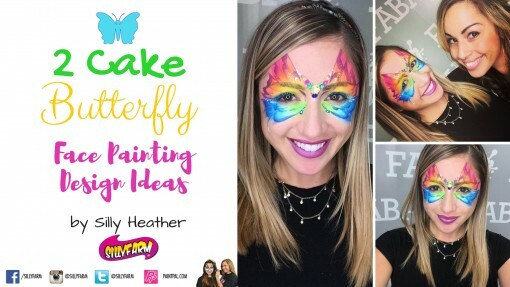 Click Here to watch the video on how to create this butterfly. 4. Share with a friend: There was this one time I bought a cute purple romper, it wasn’t until I tried it on alone in a big mirror that I realized I’m too old and thick to wear it in public. So I gave it to my sister who is younger and more fab and she rocked it. There’s noting wrong with passing something on to someone else. I have always found that when you give, you receive more than you could have imagined. Now you are probably thinking, how is giving away my paid supplies going to help me save money? People don’t always remember what you say, but they always remember how you made them feel. When you give from your heart, the reward is more than monetary. 5. Treat Your Brushes with Love <3: Brushes are the spouses of paint. They make our painting ability better, they can muck up your whole day when they don’t work well, and we can’t paint without them. I have seen painters waste more paint trying to load a crummy brush, then on actual skin. When a brush is frayed, bent, or flaking off into your paints its doing more of a disservice than anything. I once saw a painter using a brush where the hairs kept falling out into the paints as she tried loading her brush. It started to look dirty like a cat was playing in her kit. One mother even stopped to ask if the hairs in the paint were from an animal because she was allergic. When we invest in brushes, we usually have to buy a bunch until we find our go to favorites. Good brushes aren’t cheap, which is why brush care is so important. About 8 years ago I created a product called Brush Bath to use while on the job. You add a few drops to your water to help keep the water cleaner and to remove the extra paint from the bristles faster. When I worked with the chemist I also asked him not to use any alcohol cause I found it dried out my brush hairs. Instead we developed a formula that also conditioned and sanitized the brushes. 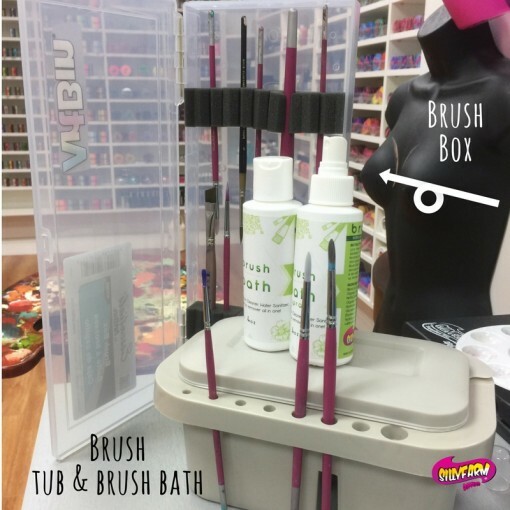 One way to keep your brushes in great condition is to clean then, store them properly and spray them down with Brush Bath before each job. I personally store my brushes in a Brush Box, I prefer it because it has a hard outside so I can stack things on top without fear that my brushes will be smushed or damaged. Some people love using the brush easel which is also excellent but I still prefer the hard case. It holds my brushes in place, so the tips don’t get bent, it hold a bunch of brushes and is very light weight. After each gig, when I pack up my brushes I spray them with Brush Bath and leave it on them. I do this to help keep the bristles together and to allow the Brush bath to sanitize them. It helps me cut down on cleaning time and piece of mind that I didn’t just throw a bunch of dirty brushes in a box. Another important tip to preserving your brushes is to store them upright while you paint. Avoid laying them down or leaving them soaking in water. Not only will you bend the tips, you will ruin the bristles thus making them good for nothing but barbie brooms. 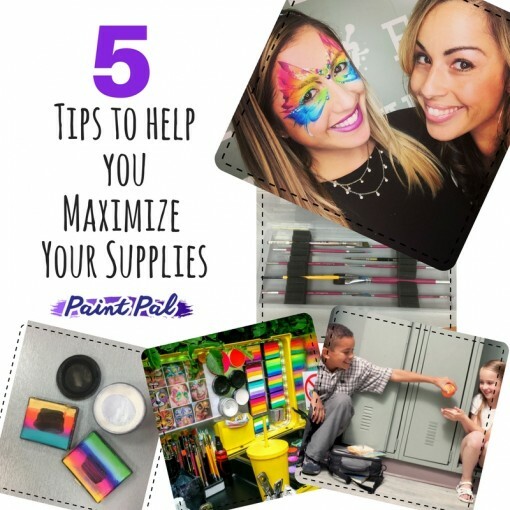 I hope this blog helps answer some questions and guides you to saving more, making more, and thinking differently about how you manage your supplies. Our tools are as important as a Dr.’s stethoscope, a teachers grade book, and a models waistline. The better you treat your craft and tools the better your career will treat you.